On Dec. 7th, 2014, Danica Peters and her husband learned they were expecting their first child. The couple was surprised and elated. Prior to Peters’ pregnancy, her husband underwent three surgeries and six weeks of radiation treatments for a brain tumor, and she was not sure they would be able to have a baby. The news of a child on the way, however, was a complete surprise. However, the joy of the pregnancy was quickly overshadowed with concern when the couple went in for a 20-week ultrasound. Peters was told that she had already begun labor, and her cervix had already dilated. 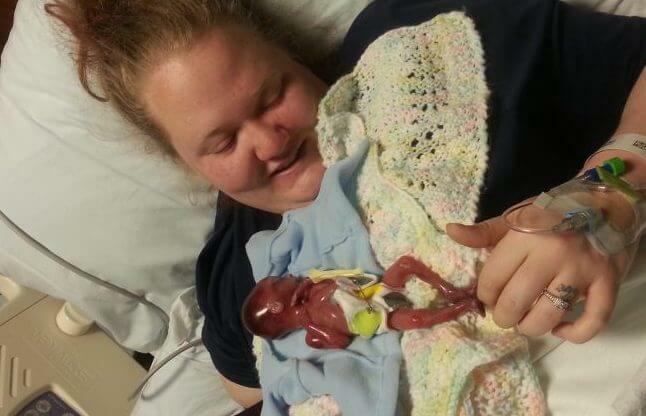 Sadly, there was nothing doctors could do to stop her baby, Harlee, from being born.